It’s post Breeders Crown but action continues through autumn, as do stakes events. A number of lucrative freshman events and the Matrons for two-and three-year-olds will headling the closing months of 2013. 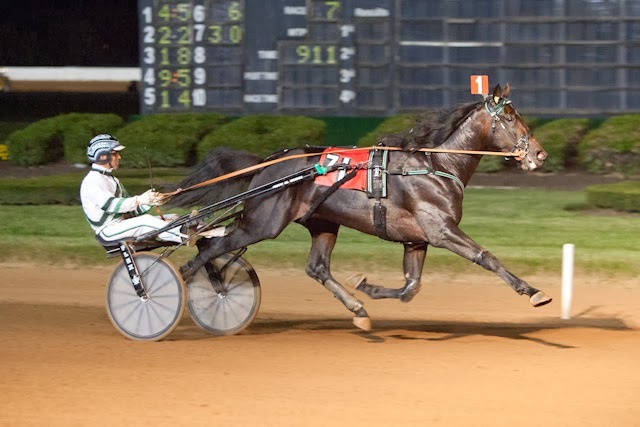 This weekend we highlight Yonkers, Vernon and Hoosier, where a lot of money is on the line for talented standardbreds. The pacing classic, the Messenger, had enough soph colts to include elims, which we cover here for Yonkers Raceway, along with the Lady Maud. Vernon hosts frosh-cash events and the Midwest faction offers big bucks at Hoosier, which is having one of its greatest harness meets. Check out the TwinSpires Pick-4 bonus at Hoosier, click here. Read our parting essay for the Breeders Crown Countdown by clicking here. The horses-to-watch list (H2W) returns this week to pick up steam for its most prolific season. Check out the list below. Ten glamour-boy pacers, eight colts and two geldings, entered for Yonkers Raceway’s Messenger Stakes this year. The 58th version offers a total purse of $530,000. Having 10 drop in the box means the event necessitated eliminations. It’s the first time elims have been needed for the event since 2007. A pair of $40,000 elims are on the card this Saturday, Oct. 26, with the first four finishers in each returning for the Saturday, Nov. 2, final, worth a guaranteed $450,000. The first elim attracted a pacer from the Pocono Downs Breeders Crown (BC) show, Sunfire Blue Chip, who was second to Captaintreacherous in his Crown elim. Lonewolf Currier is also in elim one. 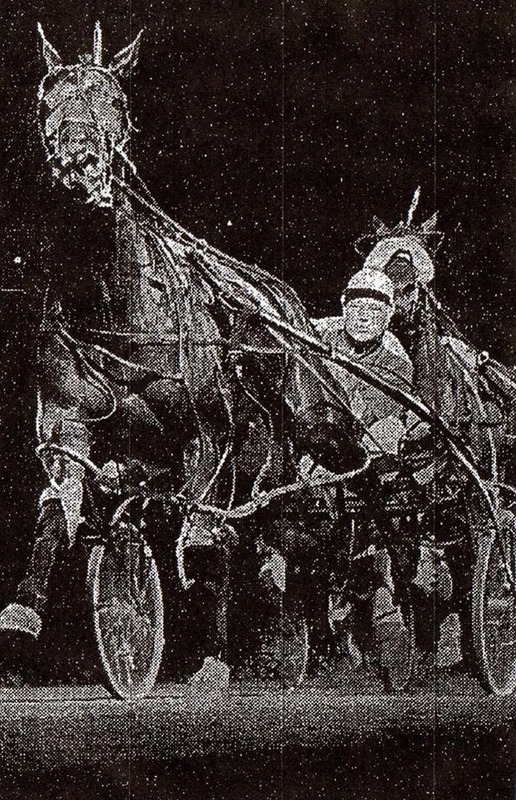 He was second in one of the Invitational miles on the BC finals program and has won at Yonkers this season. The other first-elim entrants are Dedi’s Dragon, Ronny Bugatti and Good Day Mate. Sunfire Blue Chip is tough to try to beat here, though his price will be miniscule. As a key he could top a strong exacta or triple if you toss out “Lonewolf” and get lucky with two of the low-profile colts. Dedi’s Dragon may be overlooked and have a better chance than his odds. The second elim includes Lucan Hanover (also from the BC group), Bet The Moon, Twilight Bonfire, Odds On Equuleus and Word Power. Lucan Hanover is bound to be the favorite and may deserve it. Neither of the other four has come close to doing well against what he has faced recently (he won a “Jug” elim). Keying him to Word Power may offer a good exacta combo. That one has been getting better. The companion event is the $218,684 Lady Maud Pace for soph-filly pacers. It attracted 14 fillies, launching a pair of eliminations, also on Saturday’s card. The first four finishers return for the $178,684 final, also on Nov. 2. The first elim includes BC competitors Somwherovrarainbow and Parlee Beach (the latter races coupled with Social Scene). 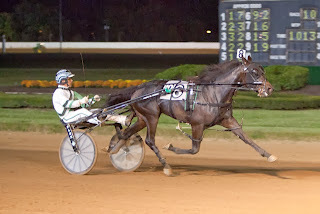 Also in it are Charisma Hanover, Handsoffmycupcake, Zinderella and Certified Ideal. We are going again with Parlee Beach, who couldn’t compare her BC mile to what she did on Jug day but may here at a price. The second elim includes BC players Scandalous Hanover (a $15,000 supplemental entrant) and Aunt Caroline, along with Live Entertainment, Jerseylicious, Antigua Hanover, Summertime Lea and Bettor Think Twice. “Scandalous” should be firing on all cylinders in the elim and final, which she may win also. Aunt Caroline raced well at Pocono and may be the second past the wire. There have been five legs of this lucrative series, beginning at The Meadowlands in August, turning to Tioga Downs and The Red Mile as the season wore on, leading to the Friday, Oct. 25 Kindergarten Trotting Classic finals at Vernon. Foes will race for over $400,000 in total purses. The fillies go first and trainer Jimmy Takter’s Yoga (photo left) is an early co-choice. She comes into the race a point leader with four wins in the series. Yoga, four for five in her short career, faces a three-pronged entry (due to ownership), two that are still maidens. Takter has Yoga coupled with a maiden, too. The outside contenders include a filly we liked in the Breeders Crown. Goddess made the final, finishing a strong third at 45-1 in her elim and off the board in the final. She is improving and can be prominent in this race. Also contending and bound to be ignored is Chocolate Crisp. She won the Marion Dancer at Freehold before breaking in Lexington and qualifying well in Philadelphia and she has won a Kindergarten leg. The colt final also hails a Takter pupil as an early choice. Trixton (photo left) is sharp now. She comes from the strong first crop of Muscle Hill in an attempt to win the $217,500 final. Trixon is a soft favorite at best, since the speedy Outburst is here, along with Southwind Spirit, fourth in the Breeders Crown against the marvelous Father Patrick. Overlooked on the morning line is Odds On Amethyst, a colt that was well considered in his Breeders Crown elim until busting at the gait and eliminating all chance of being in the final. Though he lost to Outburst in Kentucky, he trotted a longer mile on the outside to finish second to him in a Kindergarten leg. Then he was second to Father Patrick. With his successful stride he could topple the choices here at a price. The Madison County miles for freshmen at Hoosier Park and the Circle City for sophomores line the program on Oct. 26. Here’s what we like in them in order of the races’ on the card. Two-year-old colt trot: EL Titan comes off a good win as a surprising favorite in Kentucky and should romp here. Two-year-old filly pace: My Lady Day is Joe Holloway’s spirited gal that is capable of high speed in this one. Two-year-old colt trot: Monkey Man may be the third choice and that could be quite a price for him against the two morning-line choices. Two-year-old filly trot: The sharp Chocolatier filly, Simply Class, will come out winging and possibly shake up these gals and the tote board. Three-year-old colt pace: Ron Burke’s That Friske Feelin will get play but still may be worth the win price. Hopefully, Dave Palone will pick the other horse that lists him because it could help the price not to have him aboard. Two-year-old filly trot: Three gals in this field are still maidens and we like the one sired by Deweycheatumnhowe. The Fighting Bug offers the best breeding in the field (per average earnings) and may shock this field with a win and a price. Three-year-old colt trot: Longwell may be a strong second public choice but has won in the Midwest and can topple the obvious choice in King Mufasa. Two-year-old colt pace: The Art Major son, JK Endofanera, is among the sire’s successful froshes and could score among this group. 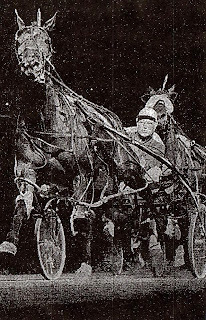 Three-year-old colt pace: Our Dragon King has not been as prolific as he had been at two but against a Midwest crew he could win again and pull of one of his high-price rewards. Three-year-old colt trot: You cannot try to beat Punxsutawney here, it’s a wire-to-wire glide, making him a key if you feel his price is too low. Two-year-old colt pace: Let’s Drink On It shows up to do what he failed to do on the BC elim card and can very well do the job easily. Three-year-old colt trot: Show Ticket is a good colt that is ready to pop soon and this could be the joint that hears the winning sound.